of Atlanta (or as we say, "Atlanta is 90 miles West of Union Point"). We are called "Union Point", because we were the "union point" of two major railway lines...Augusta to Atlanta (still operational CSX line) and Union Point to Athens (no longer operational). Like many other towns, we were impacted by the closing of our major employer the textile mill, Chipman-Union. 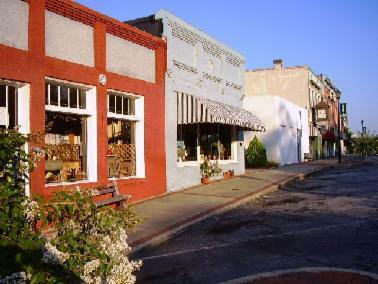 Union Point (or downtown), open small retail businesses such as restaurants, art galleries, cafes, antique stores, boutiques and light manufacturing.